Check out Redondo Beach homes and find one of the most desirable communities in the South Bay and greater Los Angeles area. The city is divided into two distinct areas. South Redondo Beach real estate (zip code 90277) includes the beachfront. North Redondo Beach (zip code 90278)is slightly inland. Hermosa Beach and Manhattan Beach are just north of South Redondo and west of North Redondo. The city is located about 20 miles south of Los Angeles and can be reached via I-405, I-110, and I-105. However, there are many great local jobs, too. Northrop Grumman, along with other aerospace companies, have offices here. Nearby Torrance is the location and North American Headquarters of several important companies, including American Honda. Redondo Beach homes come in many styles and price points. South Redondo houses include many new luxury town homes and rebuilt single family houses located near the coast, while North Redondo has more 2 or 3 on a lot townhouses and smaller tract houses but tend to have slightly lower prices. Real estate in either section of the city is highly desirable because of the high ranking of the Redondo Beach Unified School District! Older homes have been meticulously maintained, and many have been updated completely with hardwood floors, stainless steel appliances, and stone counter tops and many have been remodeled to an open concept floor plan a mid century modern look and feel! The local Redondo Beach public schools are one of the major draws for people moving to this coastal community! The school district is one of the strongest in the state, and Redondo Union High School (RUHS) has an excellent reputation for preparing students for college and careers. Parents can also choose from several great nearby private schools. There are approximately 63,260 residents who enjoy The South Bay's largest beach city. Residents enjoy a high quality of life because of the many recreational and civic services provided to home owners and residents of the city. There are also tremendous shopping and dining for all tastes. Landmarks include the Redondo Beach Pier, Riviera Village and North Redondo's South Bay Galleria and Artesia Blvd corridor where you will find hidden treasures, dining and the shopping is world class. There are many great parks, including Hopkins Wilderness Park, which is great for observing wildlife and hiking. The Performing Arts Center has a full calendar of events, from performances by the Los Angeles Ballet to the Distinguished Speakers Series. New to the Area? Please call our office so we can set a tour of the city for you! 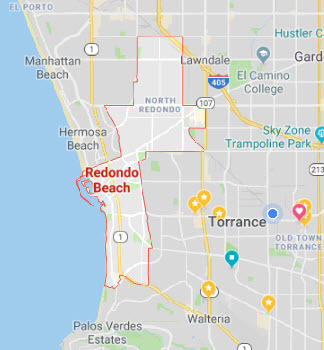 Where to Live in Redondo Beach? The many neighborhoods of the City including; Condominiums and Townhouses at The Village, Seascape I and II Condos, The TRW Tract, Villas North, Villas South, Golden Hills, The Avenues, The Hollywood Riviera, AltaVista-Knob Hill, The Esplanade, Brookside Village, Beryl Heights, The Catalina Corridor, El Nido and the Historical District. The area is well diversified and unmatched in the South Bay and each neighborhood are comprised of many lot sizes and multitude of house styles and sizes! There are many traditional single family homes throughout the South Redondo Beach, Zipcode 90277 and North Redondo Beach, Zipcode 90278, but there are also plenty of Condominiums and Townhouse style properties. 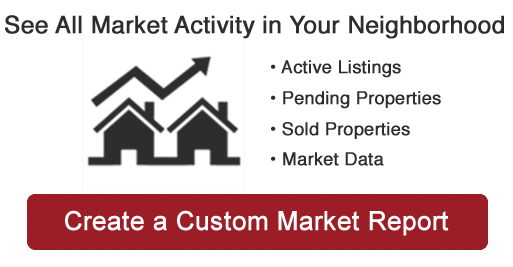 With several types of real estate properties to choose from in Redondo Beach, home buyers have many "makes and models" that can fit to their taste as well as their budgets. Seascape I , this unit was built in 1978 and consists of 119 units total. Seascape sits on the far South Side of Catalina near the entrance to the pier. Seascape II, was built in 1980 and consists of 171 units. 2 Bath condominiums, 1200 to 1550 Sqft. 2 Bedroom/2 Bath End units 1582 to 1610 Sqft. 2 Bedroom + Loft /2 Bath, Penthouse Style units 1610 to 1850 Sqft. 2 Bedroom 2 Bath Townhome Style condominium units, 1626 to 1938 Sqft. Seascape III, was also built in 1980 and the 58 units are mostly condominium style, with a few town home units mixed into the Seascape project. these units are larger than many other Seascape projects. With resort style living, including swimming pools, Jacuzzi, and recreation rooms in each project, each complex was built with the intent on providing as many ocean views as possible couple with luxury living. The Village in South Redondo Beach sits along N. Catalina Avenue between Garnet and Beryl, overlooking the famous Redondo Beach Pier. There are 23 Condos and Townhomes and built in 1974. The Club Apartments and Townhomes 332 units Built in 1972. Brookside Village is located at 601 - 649 South Prospect Ave at the intersection of Prospect Avenue and Camino Real in South Redondo Beach. Seven blocks walking distance to the Redondo Beach Pier and adjacent to Alta Vista Park and highly rated Alta Vista Elementary School. Originally built as a Luxury Garden Apartment Complex in 1970 and it was soon converted to a Condominium Complex! There are 385 units and amenities include 2 Swimming Pools, Club House, Exercise Room, 2 Tennis Courts, Koi Pond. Set in a resort atmosphere of lush landscaping, babbling brooks and three lined walking paths. Parking is subterranean carports with storage and include outdoor guest parking spaces. 1 bedroom/1 Bath Units range from 669 - 848 Sqft, some with lofts. 3 bedroom/2 bath Units - 1206 Sqft. There are 6 main buildings, 2 floors each and nits have balconies or patios, some have rooftop access. This is great for first time home buyers! Redondo Beach Esplanade in South Redondo is the last street overlooking the Pacific. The Esplanade overlooks the Pacific Ocean and runs from the Redondo Pier all the way up towards Vista de la Playa in the Hollywood Riviera . Redondo Beach Esplanade listings The Esplanade is best known for its low rise condominiums which can rise as high as 7 stories. Complexes such as the Sandcastle, Riviera Shores, San Simion, Casa Bajia, Ocean Plaza, and Dolce Vita are large buildings with up to 96 units. Ocean Plaza is one of the oldest and tallest of the buildings. Typically these condos have subterranean or street level parking. There also about a dozen single family homes in between the large condo complexes. Each condominium unit and single family homes are steps from the Pacific Ocean which presents spectacular views for the area homeowners and residents. Redondo Beach Villas North is part of a large tract of land that was split from Redondo Villas South. On this portion of land sits about 800 single family homes, and 2300 condominium and townhouse units. Bounded by Manhattan Beach Blvd on the North, Inglewood Blvd. on the East, & Aviation Blvd on the South. The majority of homes are 2 and 3 unit condos and town houses on one lot. The original single Family homes were mostly 800 square feet built in the 1950's. Today's developers and builders are revamping this valuable land into into newer, more modern larger homes! Redondo Beach Villas South is bounded by Prospect and Aviation, and Artesia Blvd, Inglewood Ave and 190th Street. The homes in this area represent a smorgasbord of residential living. In the NW section we have the "Tall and Skinny" homes located in Golden Hills. While the areas in the middle tend to have Traditional Single Family Homes, 2 and 3,on a lot Town houses, and Apartment Buildings, the eastern area you have mostly original smaller single family houses on 50 x 150 lots and a somewhat hilly terrain. The "TRW Tract" includes approximately 660 homes, in the area bounded by Manhattan Beach Boulevard, Inglewood Avenue, Robinson Street, and Vail Avenue. Most of the homes in this neighborhood were built between 1943 and 1950 to meet the demand for tract home development following World War II. Designs were simplified to keep costs low and several styles were produced during this era and include Ranch, Contemporary, and Split-Level styles. Contributing to the strong neighborhood character is the use of detached garages, modest porches, and entries facing the street. The neighborhood has various lot sizes ranging from as small as 5,000 square feet to as large as 15,000 square feet. About 45% of the lots are between 6,000 and 7,000 square feet, and 35% are between 7,000 and 10,000 square feet. Most lots have lot frontages of approximately 50 feet in width, although many of the lots are irregular in shape. When originally built homes in the TRW tract typically had about 1,000 square feet or less of living space. Today, about 110 homes are still under 1,000 square feet, about 440 homes are between 1,000 and 2,000 square feet, and about 70 homes are between 2,000 and 3,000 square feet. 23 homes exceed 3,000 square feet, including 3 homes exceeding 4,000 square feet! Alta Vista/Knob Hill Bounded by PCH on the West Torrance Blvd on the North, Ave A on the south. Unlike other areas in both North and South Redondo this area is almost entirely single family homes. Knob Hill Avenue is considerably wider than your typical residential South Redondo Street and as such the properties on this street have either unobstructed ocean views or the potential to easily obtain one by adding a second or third floors. The Alta Vista area on the eastern side of this sub area does not have this view potential being on the backside of Knob Hill. There is considerable remodeling and new construction in the area and large new homes being built here. The prime streets for redevelopment are just north and south of Serpentine and Sapphire Streets and the adjacent streets of Gertruda, Helberta, and Irena Avenues. Between Ruby street and Knob hill avenue, some homes have been built exceeding 4000sq ft in this sub area! Hollywood Riviera Originally part of Rancho Palos Verdes, Hollywood Riviera was annexed into Torrance in 1927. The areas original builder labeled the property because he was experienced in developing homes in Hollywood! He thought the well known name would attract more buyers into today's Redondo Beach Riviera area. Many of the homes enjoy spectacular South Bay and "Queen's Necklace" ocean views as far as the Santa Monica Mountains! Like many areas of the South Bay, The Hollywood Riviera is being rebuilt into newer more modern and luxury housing. The Avenues Area of South Redondo Beach includes about 550 homes located at the most southern part of the city. When originally built, the homes were typically around 1100 square feet. Today, most of the Avenues"homes still have between 1,100 and 2,000 square feet of living space, however, some of the homes in the neighborhood have both been torn down and replaced by larger size homes or have had major additions. 70 homes now exceed 3,000 square feet of living area, including 14 houses exceeding 4,000 square feet and 3 homes exceeding 5,000 square feet! The lower Avenues west of Pacific Coast Highway retains many of the original homes built in the 1920s. The typical lot in this area is approximately 42 feet by 142 feet, or just under 6000 square feet. This area is unique for its wide streets and consistent use of alleys for garage access. The area east of Pacific Coast Highway is more eclectic. It includes a smaller number of Spanish Style homes built in the 1920s mixed in with a majority of homes built in the 1940s and early 1950s. Although there is not a consistent use of the alleys for garage access, most of the lots are served by a detached garage in the rear of the lot. Lots in this area are typically 40 feet by 152 feet (just over 6,000 square feet), except along Avenue D where most lots are 50 feet by 152 feet (about 7,600 square feet). Golden Hills occupies a pie shaped neighborhood triangle area in North Redondo Beach. Bound by Artesia Blvd, Aviation, and Prospect Avenue, this area is mostly single family homes, with an occasional townhouse. The area resembles rows housing you would find in San Francisco in the late 1970's and are mainly "Tall and Skinny" houses built on 25 x 100 2500SF lots. These houses are the result of an effort to create more affordable housing.The solution was to cut the existing 50 x 100 lots into two thus the area builders created "two-on- a- lot" town homes and Single Family Homes that sit on the half size smaller lots. Many of the area builders like Anastasi, O'Neil construction and LaCharite started building these in their current Cape Cod and Victorian look. Beryl Heights-Is a single-family neighborhood west of Prospect Avenue near Beryl Heights Elementary School. This neighborhood includes approximately 370 single family houses. Beryl Heights of Redondo Beach was built n the 1950's with some portion being built in the 1960´s. The neighborhood has various lot sizes ranging from less than 4,000 square feet to as large as 10,000 square feet. When originally built, most homes in Beryl Heights had about 1,000 square feet or less of living space and were iconic beach cottages! Today, about 30 homes are still under 1,000 square feet, 255 homes are between 1,000 and 2,000 square feet, and about 55 homes are between 2,000 and 3,000 square feet. There are 20 houses that now exceed 3,000 square feet and 3 homes exceeding 4,000 square feet! Much of the Beryl Heights real estate contain their original architectural features such as low pitched roofs, wide eaves with exposed beams, stone or brick used as accent materials at entries, wide and fireplaces with chimneys and rear garages. The terrain in the neighborhood tends to slope up to the east, providing some homes with views. To take advantage of the slope, new residential developments sometimes include subterranean garages, rooftop decks, and mezzanines. Although these are not yet common elements in the neighborhood, the trend is beginning to change the character of this unique South Redondo Beach neighborhood. The Catalina Corridor stretches from the Redondo Beach Archway to the entrance of Rivera Village. Along Catalina avenue you will find many variations of real estate from commercial property, light industrial and some retail shops. The properties run the gamut from small mom and pop income properties with a couple of units and the largest condominium complex is La Casita at the corner of Catalina and Torrance Blvd and it has 64 condominiums and many units have ocean views. Along Catalina Avenue you also find some pockets of pre-1925 historical residential homes, There are also smaller condominium and home owners associations under 10 units. Some of the properties have ocean views and run parallel to the Esplanade South of Torrance Blvd. The Village is not considered part of the Catalina Corridor. El Nido Neighborhood- includes approximately 685 homes. Almost all of these houses in this neighborhood were originally constructed between 1949 and 1955. Most original houses are similar to the TRW Tract with simple "Contemporary" tract home designs using rear detached garages and entries facing the street. Over 90% of the lots in El Nido are between 5,000 and 6,000 square feet. Most lots are rectangular in shape with lot widths 50 to 55 feet and lot depths typically 100 to 110 feet. Like the TRW Tract, homes in the El Nido Neighborhood were originally less than 1,000 square feet in living area. Even today, about 525 homes (77%) are still less than 1500 square feet, including over 180 homes (27%) still under 1000 square feet. El Nido has about 50 homes exceeding 2000 square feet and 13 homes exceeding 3000SF! The Historical Homes of Redondo Beach cannot be defined by geography as historical significance is found all over the city. There have been historical areas designated and the 3000 Block of N. Gertruda Avenue is one. In fact there over 3000 structures being considered for historical landmark status. Today in South Redondo Beach there are 2300 houses built between 1875 and 1925. The pressure brought to bear in this area is extreme because of rising property values and some of these properties are slowly being replaced with new modern two and three level homes!